When something unique and special catches our eye, we are thrilled to offer it to our astute buyers! 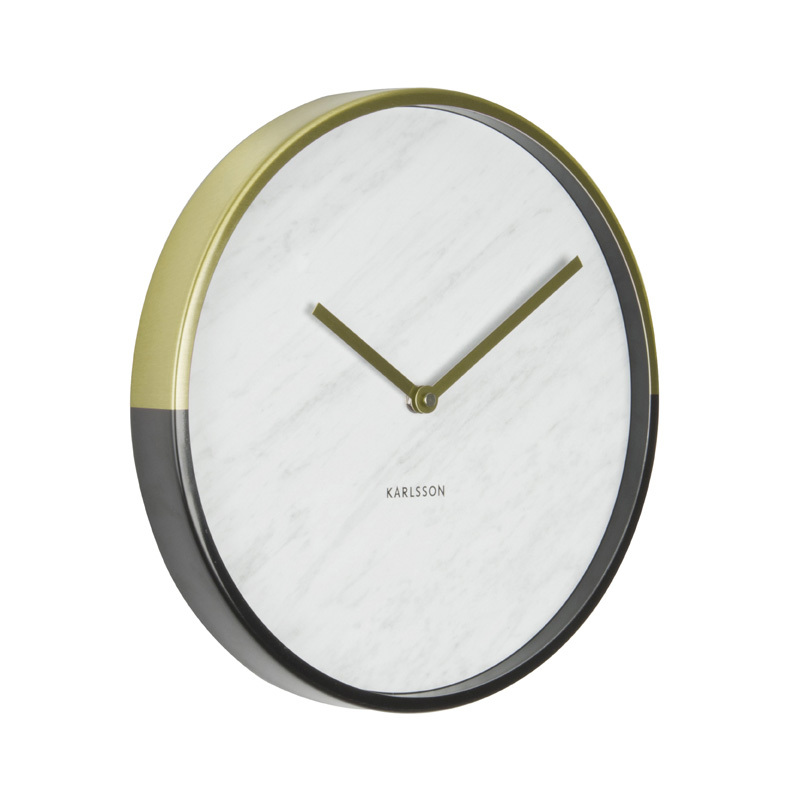 This wall clock offers a classic off-white marble face with delicate grey striations. The case has a surprising modern look with the top half in gold and the lower half contrasting in jet black. 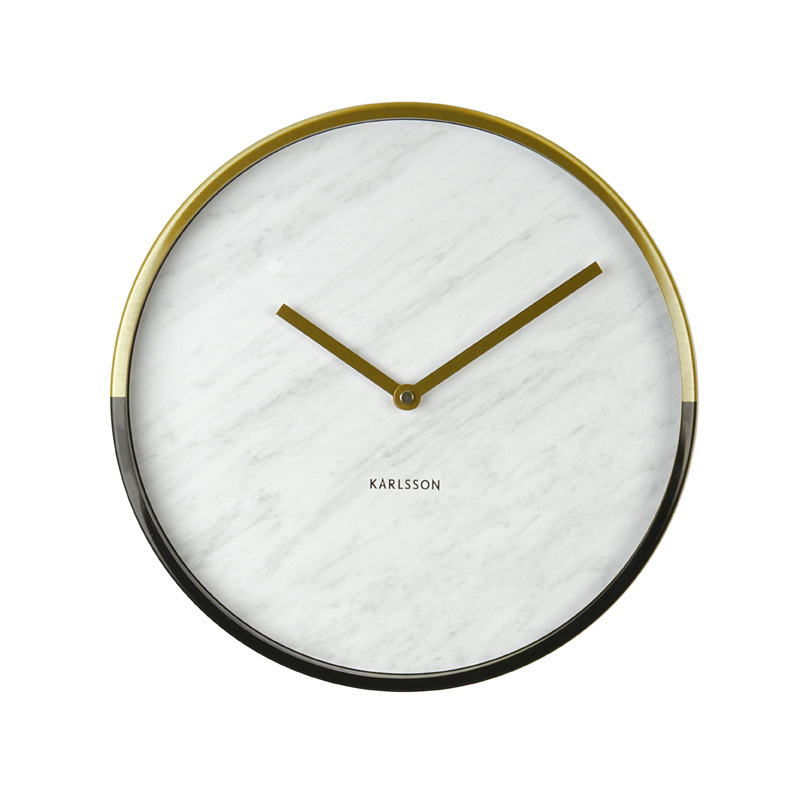 The gold hands allow you to tell the time in timeless fashion. Perfect for a living room, entrance hall, bedroom or study. Size D30cm x H4cm.